The eShop release schedule can be unpredictable. Sometimes North America and Europe get titles on the same day, sometimes there's a brief delay in one region, while on other occasions one side is left waiting for far too long. For European 3DS gamers, Mutant Mudds definitely falls into that last category. It arrived in North American on 26th January, but for any number of reasons the step of seeking approval from Nintendo of Europe has taken some time. Thankfully, Jools Watsham of Renegade Kid has taken to Twitter to share some good news. USK rating received (6)! Mutant Mudds has been submitted to NOE for approval. It could be released June 21st. Let's hope everything is OK.
We agree wholeheartedly, let's hope everything is OK. The potential release date of 21st June would be rather good, but we'll wait and see whether there are any delays before preparing some eShop funds. 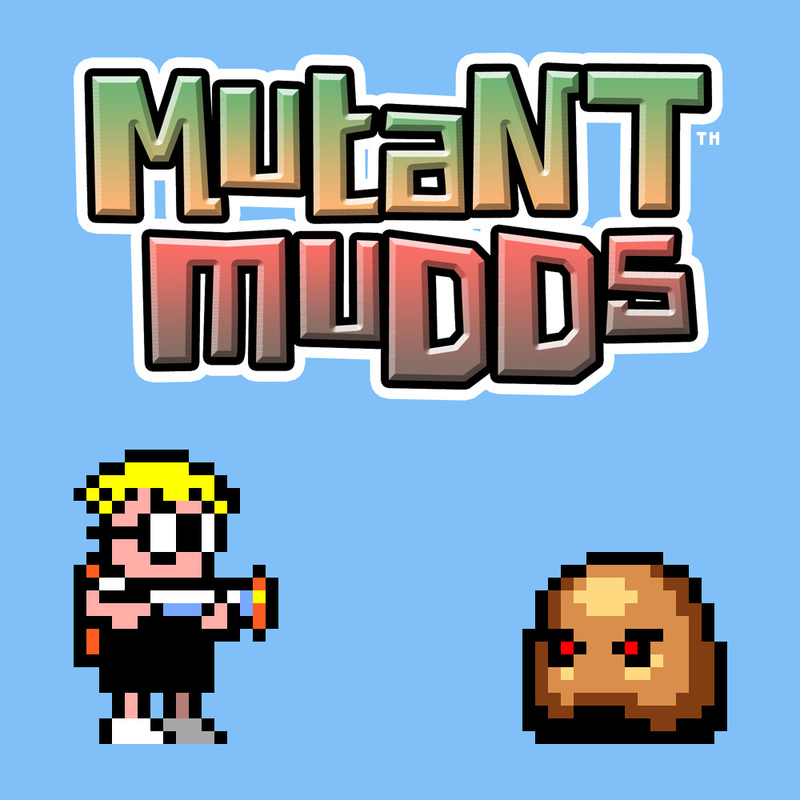 If you need a reminder of why this may be worth your cash, check out our Mutant Mudds review. I might not get it because it's so late. That doesn't make any sense, @Pengaweeno. Renegade Kid have the annoying philosophy that games should cost the same in euros as in dollars, so I presume this will be no different and like VVVVVV, we'll have to pay quite a bit more than Americans. @Oddy It's taking too long to arrive at PAL regions, so I will make them pay for being mean to us britties. I just buy the games I like without thinking, wonder how much I've spent on the many, many games I've invested in... A lot of people might baulk at the price tag of Mutant Mudds when it arrives, but it'll be added to my ever-increasing arsenal of portable gaming heaven without a second's thought. I hope so, this game looks like one of the best portable side-scrollers in recent years. Took your time didn't ya? I was interested until I found out that this game is apparently really hard so... yeah, no. @Djrr-ific I obviosly understand the need to translate the game into so many different languages can be costly (though there is no excuse at all for Australia) , but the mark up is frankly ridiculous sometimes. I think it is developers taking advantage of the average consumer not noticing the difference between 9 dollars and 9 euros. While Mutant Mudds isn't my favorite out of the neo-retro platformers on eShop, it's still a darn good game, and I hope you in the EU enjoy it! @Pengaweeno, thats a flawed stance on the matter. If enough people boycott it, Renegade Kid would just assume the region isn't interested in their software, so that could easily result in longer delays, or even games not making over. You're the only one that's going to suffer if you don't get it. I don't get how anyone in Europe could whine about a game like this coming late when we Americans had to wait for freaking ever to get Xenoblade. We haven't even gotten The Last Story yet. Just chill and show some patience. At last! I've been waiting for this for ages. I want this game so bad. I hope it gets released on the Australian eshop on June 21st too. @Pengaweeno You will be the one ultimately paying because we will be the ones ultimately playing =D while you just cry! Sweeeeet! I have been waiting for this! @Pengaweeno You're only hurting youself, dude. Then again, Mighty Switch Force is pretty darn close....With the recent free Upgrade/DLC adding the 5 additional levels it may seem like a more satisfying & meatier experience. Also, the only real problem i had with Mutant Mudds was that there wasn't a single boss battle in sight...While the enemie design was kind of generic and lack luster, that aside it's still a incredibly solid platformer and extremely challenging to boot! Won't even come close to being the best thing on that day. Am I the only person in existence that hated this game? I honestly just didn't like it. 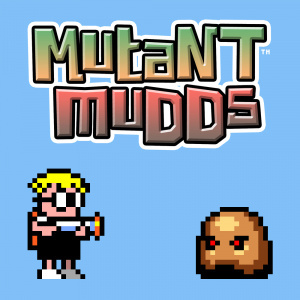 I personally don't see what the big deal about mutant mudds is. My opinion. Back off. You are quoting Vader right?